Enjoying the finest of what 南青山 (Minami Aoyama) has to offer. Shopping in the luxury brand’s uniquely designed buildings is seriously a treat and I’m loving the architecture! 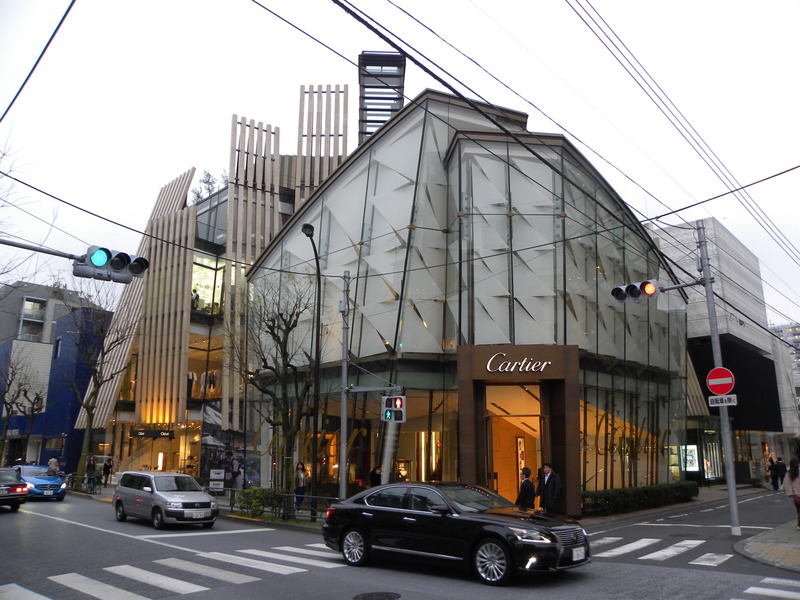 The Cartier building designed in the shape of a diamond by architect Bruno Moinard, 2005. 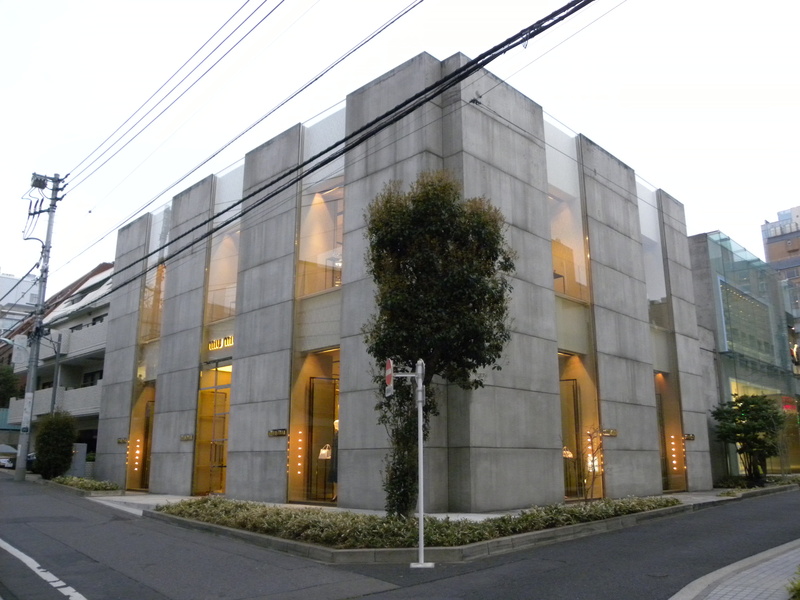 Then, in the background is the “Jewels of Aoyama” designed by Jun Mitsui and Associates, 2002. Pleats Please Issey Miyake boutique window. 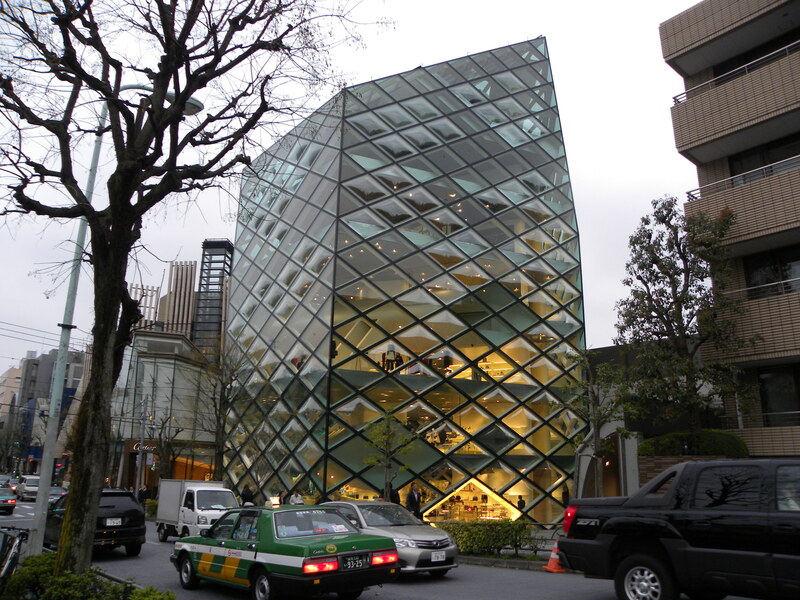 The Prada building by the architecture firm Herzog & de Meuron, 2003. This entry was posted in Fashion, Luxury, Shopping, Tokyo, Travel and tagged Architect Bruno Moinard, Architecture, アーキテクチャ, イッセイミヤケ, イッセイミヤケ ストア, イッセイミヤケプリーツ プリーズ, カルティエ, ショッピング, ストア, デザイン, ファッション, ファッションブランド, ブルーノ・モワナー, プラダ, プリーツ プリーズ ストア, ミュウミュウ, Bruno Moinard, Cartier, Fashion, Herzog & de Meuron, Issey Miyake, Japan, Jewels of Aoyama, Jun Mitsui and Associates, Luxury, Luxury Brands, Minami-Aoyama, Miu Miu, Prada, Shopping, Tokyo, Travel, 南青山 by linneabylinneanilsson. Bookmark the permalink. Fantastic architecture, complemented by the shop window displays. What they have on their heads transforms from great to eyecatching. There is always something going on with various headpieces. It makes a great display, I agree. And honestly, Japanese fashion conscious people do wear whatever is considered in. 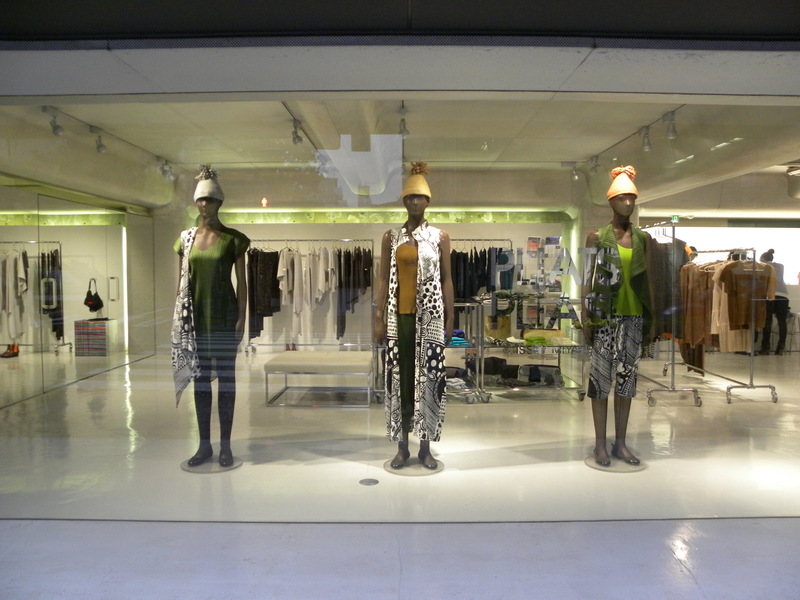 I love that Issey Miyake window! Thank you! Yes, indeed. I was hoping that she, 藍山みなみ might do wonders for my statistics. Great photos as always! I love your pick of architectural features. The Prada building is fierce!